New Disease Reports (2004) 8, 35. In September 2003, dead and dying plane trees (Platanus orientalis L.) were observed in seven different localities of the Messinia prefecture of the southwestern Peloponnese, Greece. Cankers were found on both trunks and branches. The inner bark and the cambial region of the cankered area were discoloured bluish-black and the underlying wood stained dark reddish-brown to bluish-black. Stained streaks extended longitudinally in the wood beyond the dead bark. In cross section, the stained wood formed characteristic radial patterns (Fig. 1). The fungus Ceratocystis fimbriata f. sp. platani was consistently isolated from stained wood near the canker margins. Cultures on malt extract agar (MEA) were hyaline to light olive brown, with a radial growth rate of 12-15 mm per week at 24°C and had a pronounced smell of banana. Black, globose perithecia (150-300 μm in diameter) with a long neck (500-800 μm in length) were observed on one week old cultures. The ascospores were 4-6 x 3-5 μm, having a characteristic bowler hat shape (Fig. 2). All three types of asexual spores were also observed: hyaline, truncated, cylindrical endoconidia; light doliform endoconidia; and dark, thick-walled endoconidia (chlamydospores) (Webster & Butler, 1967). Pathogenicity tests were performed in a greenhouse, on two-year-old potted plants of P. orientalis, using one of the isolates deposited in the culture collection of University of Athens (ATHUM 5046). The stems of trees were wound inoculated with mycelial agar plugs. Necrotic lesions 3-4 cm in length were observed on the stems, five weeks after inoculation. C. fimbriata f. sp. platani was consistently re-isolated from stained wood 2-2.5 cm from the inoculation point. No symptoms developed on control plants inoculated with sterile MEA. C. fimbriata f. sp. platani is considered to be indigenous to USA. In Europe the pathogen has caused severe attacks in Italy and France. It has also been reported in Switzerland and Spain (Panconesi, 1999). This is the first report of C. fimbriata f. sp. platani in Greece. It is an EPPO A2 quarantine organism (EPPO/CABI 1997) and sanitation measures have been suggested to control the disease in Greece. The authors are grateful to Drs P. Capretti and A. Panconesi for verifying the identity of the fungus and Dr S. Woodward for critical evaluation of the report. EPPO/CABI, 1997. 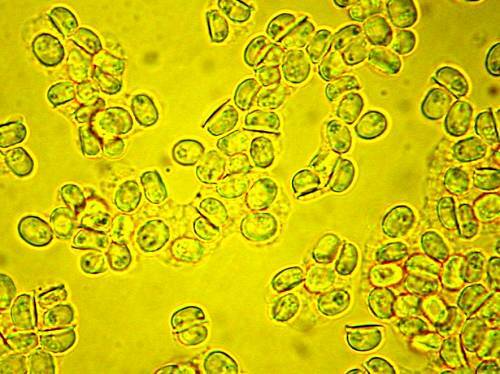 Ceratocystis fimbriata f. sp. platani. In: Quarantine Pests for Europe, 2nd edition. Wallingford, UK: CAB International, 674-677. Panconesi A, 1999. 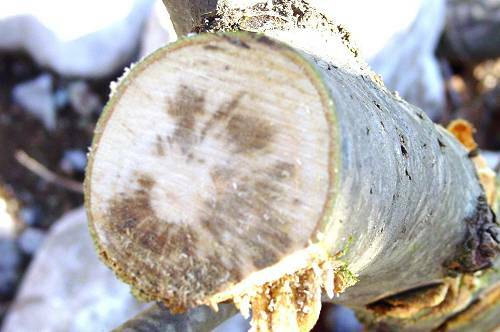 Canker stain of plain trees: a serious danger to urban plantings in Europe. Journal of Plant Pathology 81, 3-15. Webster RK, Butler EE, 1967. A morphological and biological concept of the species Ceratocystis fimbriata. Canadian Journal of Botany 45, 1457-1468.